" I want it RED, light and race ready "
When Lucas asked for a match to his current cyclocross bike that was steel, I was in. There were tricks to this build, with short femurs and long lower legs, a dialed in seat angle was needed, nothing off the shelf was really going to fit without work. This is what Custom is about, fitting the rider not the production schedule. So a very steep seat tube angle was included. 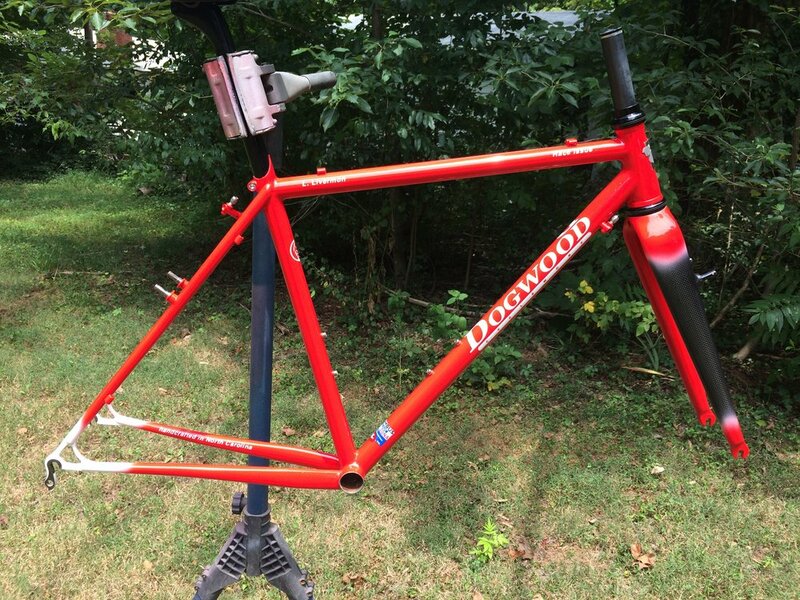 Tweaks to get the the weight down to race weight, a carbon fork and this slick RED paint with a little white for balance. 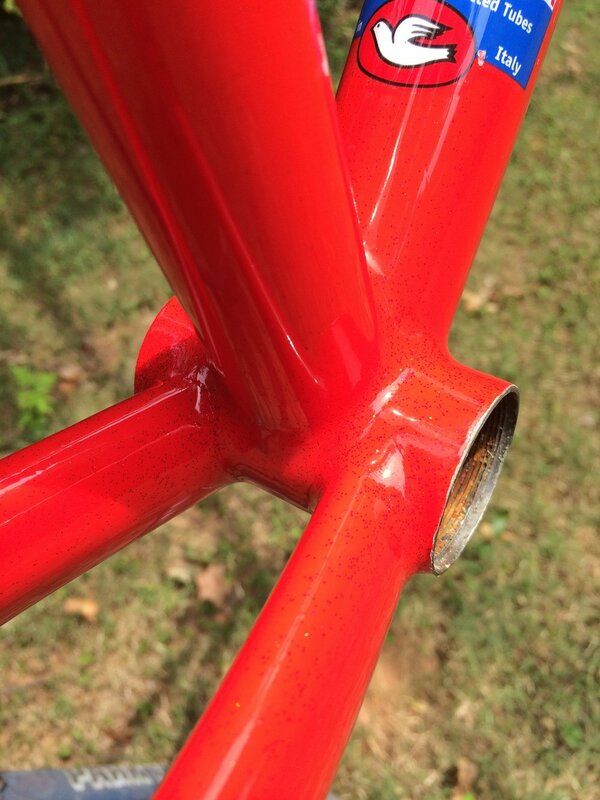 The Red was not as easy as it might appear, the right red was needed, Intense, rich, hot and just a little metal flake to make it that much more painful. This one needs to be seen in person, the camera just doesn't do justice to the flake, looks like freckles. Red is my personal favorite color so I loved this paint color. 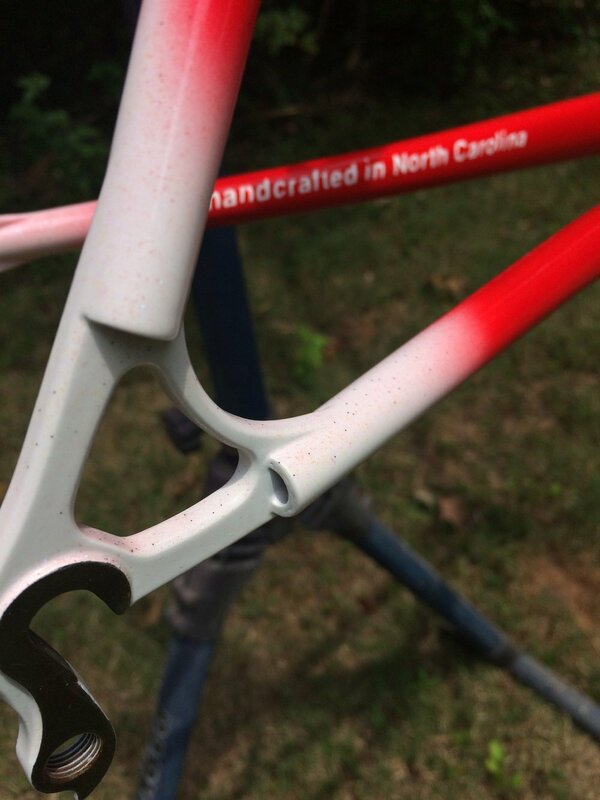 This is the last of the North Carolina crafted Dogwood Cycleworx frames, next stop Washington State !